CHARLESTON, UT -- A dog stranded on ice for five days was pulled to safety in dramatic fashion. 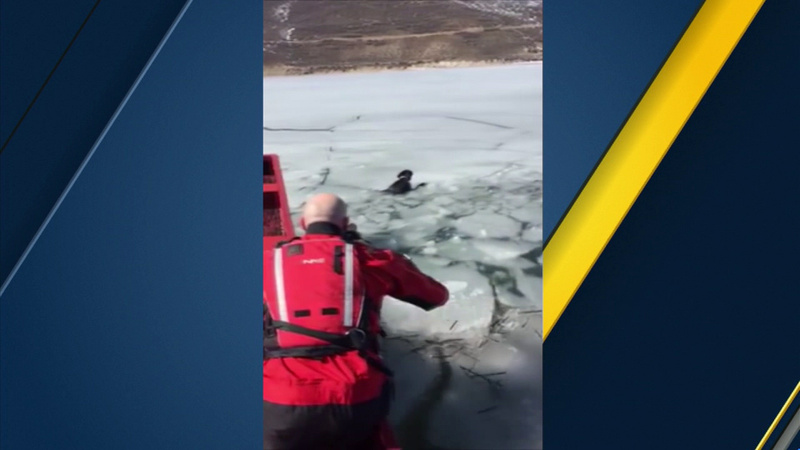 Volunteers with the Utah County Sheriff's Office were able to grab Sadie from the icy waters of the Deer Creek Reservoir on Friday. Officials said Sadie was staying at a cousin's home, which was unfamiliar to her, when someone let the dogs outside on Feb. 29. That's when Sadie wandered onto the ice and panicked. Crews using an airboat were able to rush to her aid as volunteer Toby Norton grabbed the dog by her collar and lifted her into the boat. Sadie is now back home and officials said she is in good health.